The day after Live Below the Line – can you guess my first meal? 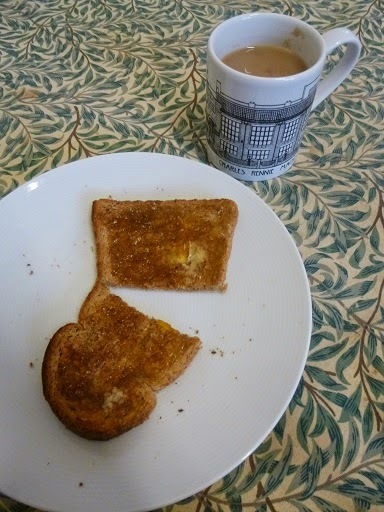 … a cup of long-awaited tea with a piece of toast and some remaining value range marmalade WITH BUTTER. King/Queen/Dairymaid style “I do like a little bit of butter to my bread”. Simple pleasures, denied to so many. work in the aftermath of the earthquake in Nepal.